In two weeks, Fort Worth will be gifted with an absolute dream. Actually, it’s a dream park. Not too long ago, Rachael Churchill was visiting her family in Wisconsin, and like a lot of us when we’re visiting family, went exploring the nearby parks. She was shocked at the park she found! Rachael remembers, “The sign at the entry said we were at Possibility Playground, and it explained it was an all-inclusive, fully accessible playground; a place where able bodied children and children with disabilities could play side-by-side. Wow! I was truly impressed. 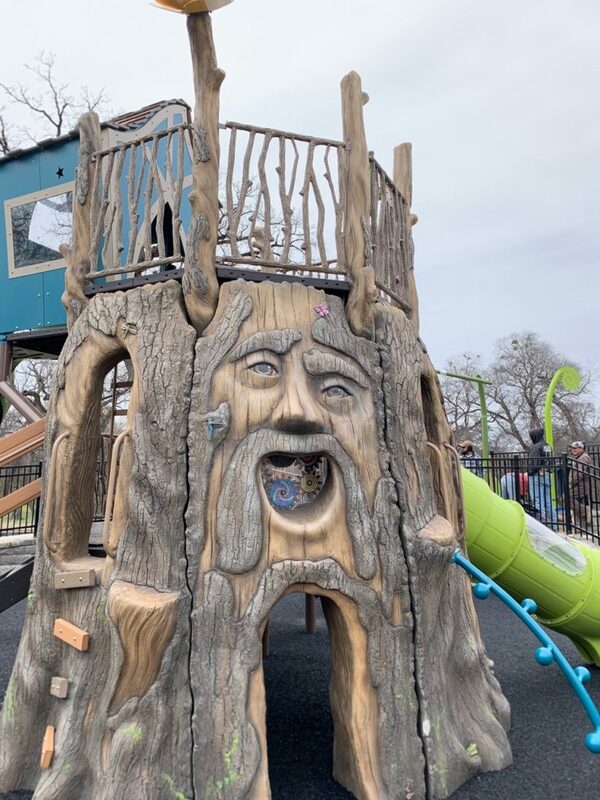 Along with everything you see at standard playgrounds, it had therapeutic swings, sensory boards, musical and educational components and more. 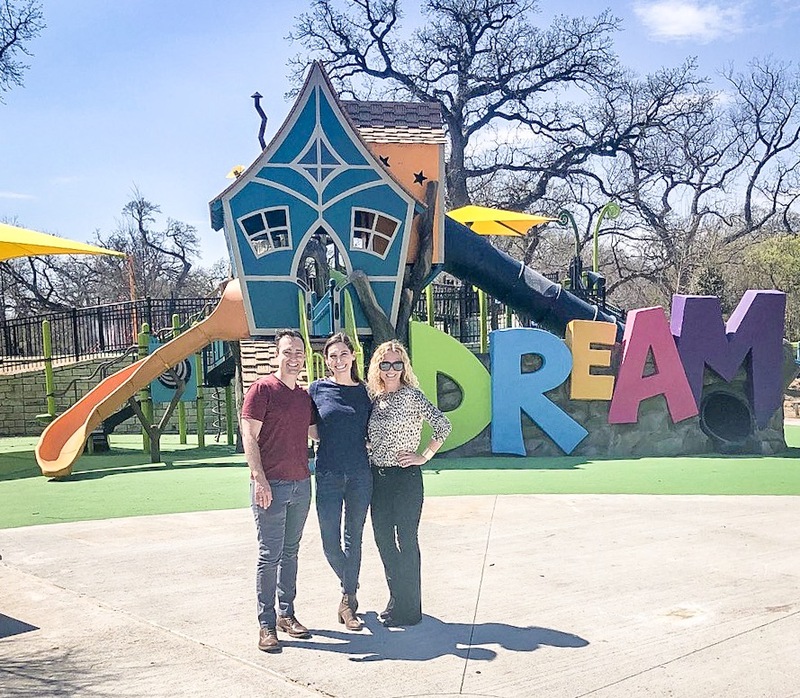 Rachael came home with a mission that all children in Fort Worth have a chance to enjoy an inclusive playground. Teaming up with friends Sandy Mesch and Corrie Watson, this trio of amazing women began the Dream Park project. They have raised over 3 million dollars, and on April 15, the dream will officially become reality when the Dream Park opens at noon. Both of my young daughters use wheelchairs. It’s hard to explain just how incredible this park will be for our Fort Worth community. We need this park. 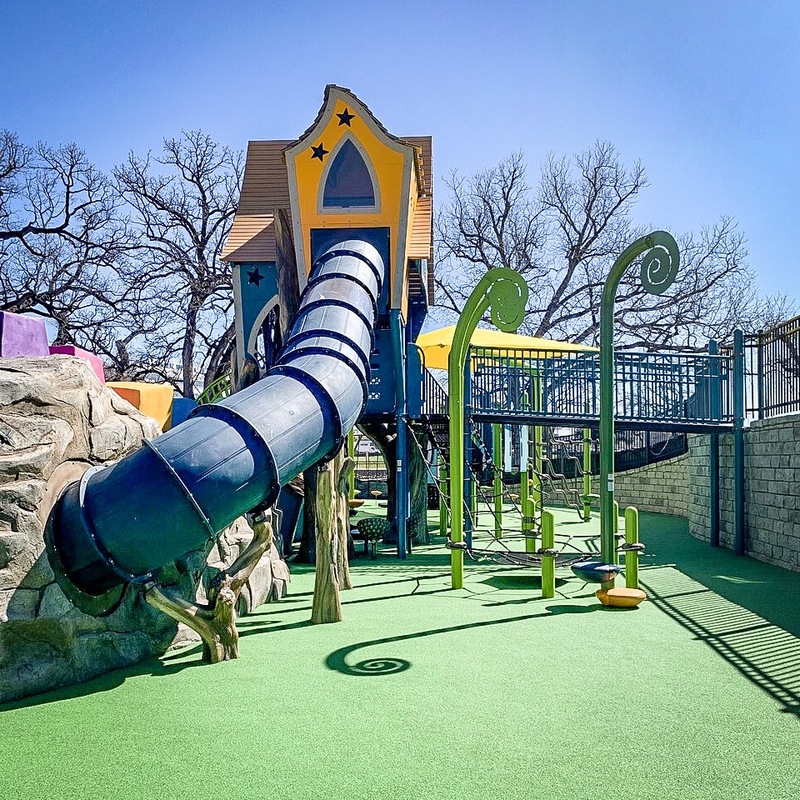 It’s really hard to put into a short post all the reasons why this park is so good for Fort Worth, but I want to share a few reasons why this park is so special and why my family is so excited to see it come to life. First, this park is forward thinking in the best possible way. For too long, special needs families have been isolated and left out due to inaccessibility and social stigmas. But times are changing. More and more families are coming out from the shadows proudly showing off our beautiful children. No longer are parents content trying to change their children to fit into cultural norms or just hide in the background. “Differently-abled” is replacing “disabled.” A park like this recognizes that not all public spaces fit the needs of our community, but it is not a park just for differently-abled kids. It does not seclude. It includes, and that is a sign of a loving community—having everyone welcome and included in the same rather than separated public spaces. As our Fort Worth community continues to grow and garner national attention, this welcoming and adaptive-thinking park represents the best of the Fort Worth spirit. Second, as hinted at already, this park is incredible because it is not a “special needs” park—it is a park for ALL children. There is not one inch of this park that says “medical” or “fragile” on it (like a lot of the equipment that is used daily by special needs kids). Instead, kids will find fairytale creatures hiding in a treehouse, butterflies, a climbing mountain, and a zipline that even the biggest kids—and adults—won’t be able to say “no” to. In fact, there is a second, secure and enclosed zipline for children like my youngest daughter so that they can finally fly through the air next to their siblings, friends, and of course—parents! Kids of all abilities playing together is a win-win. It helps break down social stigmas and develops kindness and empathy in able-bodied/typical developing children. It creates a place of belonging and inclusion and acceptance for special needs kids, who are often more aware of social exclusion than adults give them credit for. 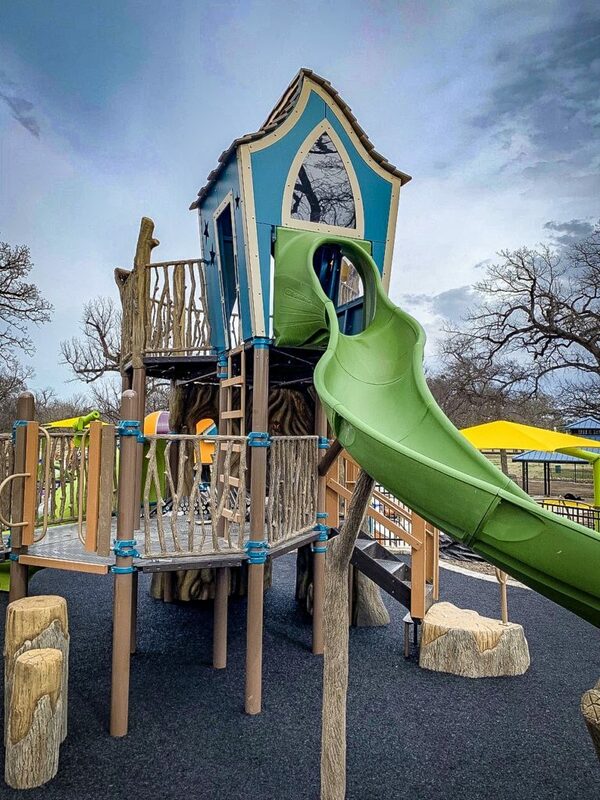 This is the first park in Fort Worth where all our kids can meet for a play date and they are all guaranteed to have fun—because the park really is just that awesome. It is also enormous, but it only has one gate—so much easier to keep track of all kids. 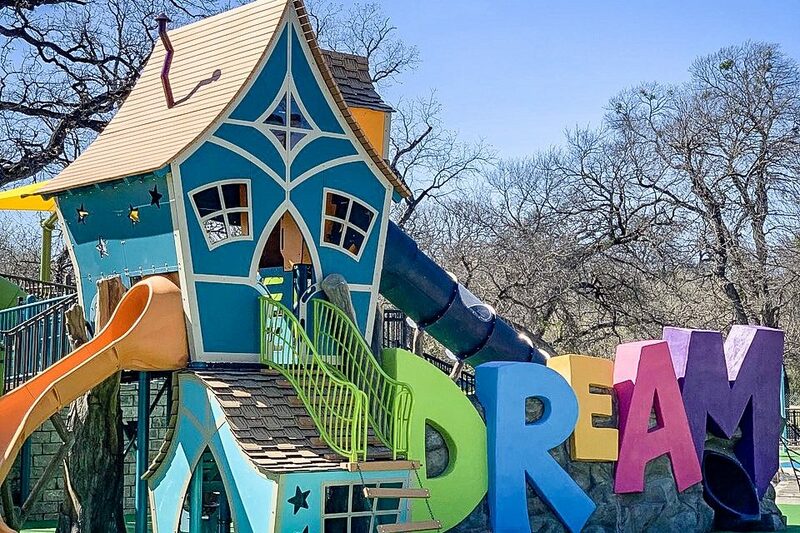 Finally, the Dream Park is awesome because it was conceived, developed, funded and made possible by three Fort Worth women who saw a need and did not give up until the dream became reality. Beyond that, after developing and building the park, on April 15 they are going to “hand over the keys” and gift the park to the city of Fort Worth. Due to their courage, hard work, and generosity, this park will quite literally belong to the families of Fort Worth because it was always about helping make our community an even better place to live. Frank Kent’s Dream Park will be open to the public for a special “sneak preview” on April 15th at noon through Easter weekend, April 21th. 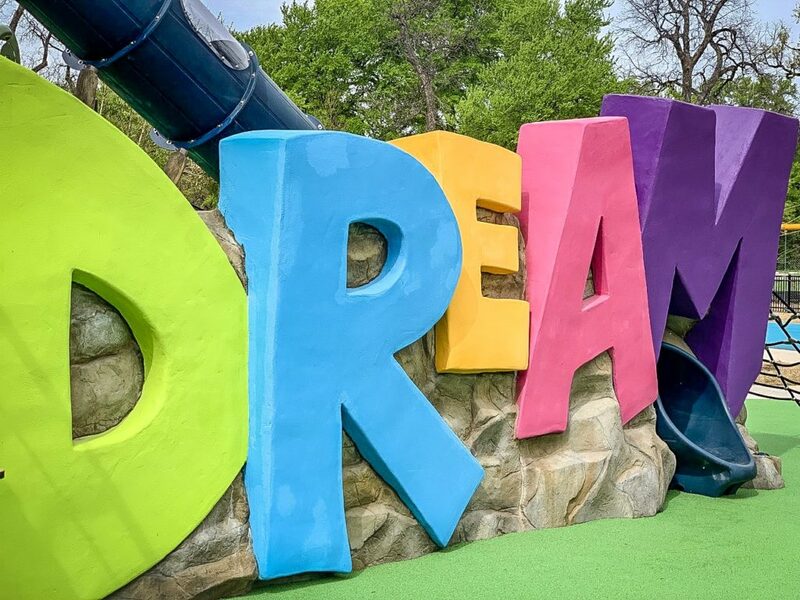 On Monday, April 22, the area of Trinity Park where the Dream Park is located will be temporarily closed in preparation for the 47th annual Mayfest. Then playground will be open to all Mayfest attendees during the festival and will reopen to the general public on May 9th. 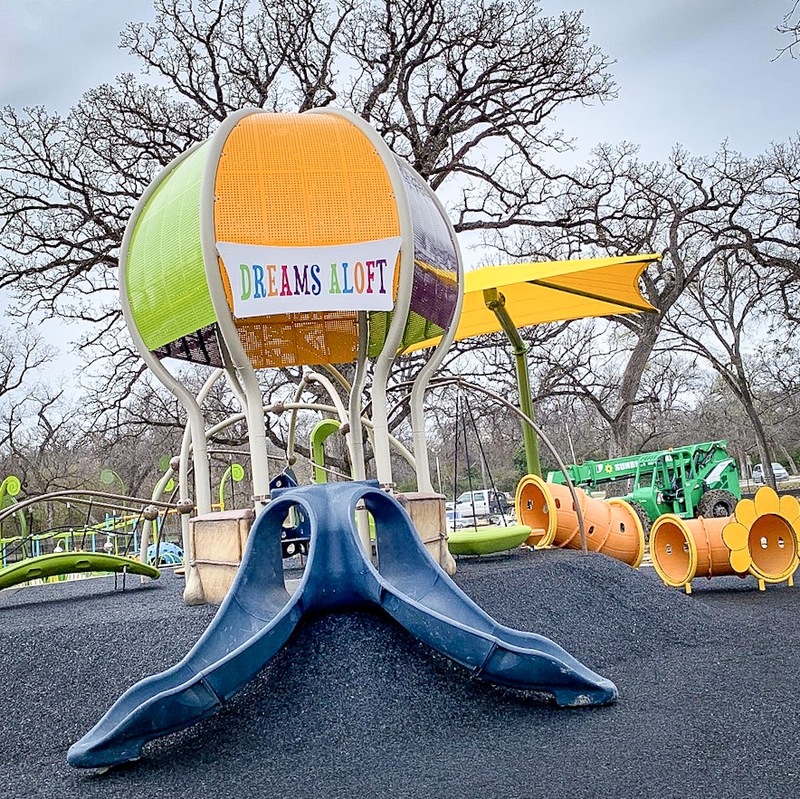 Dream Park is a free, public playground and will follow standard Trinity Park hours.